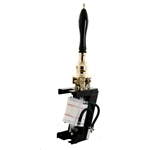 The Angram Counter Mounting (CM) handpump eliminates the usual problems of through-bar fitting. 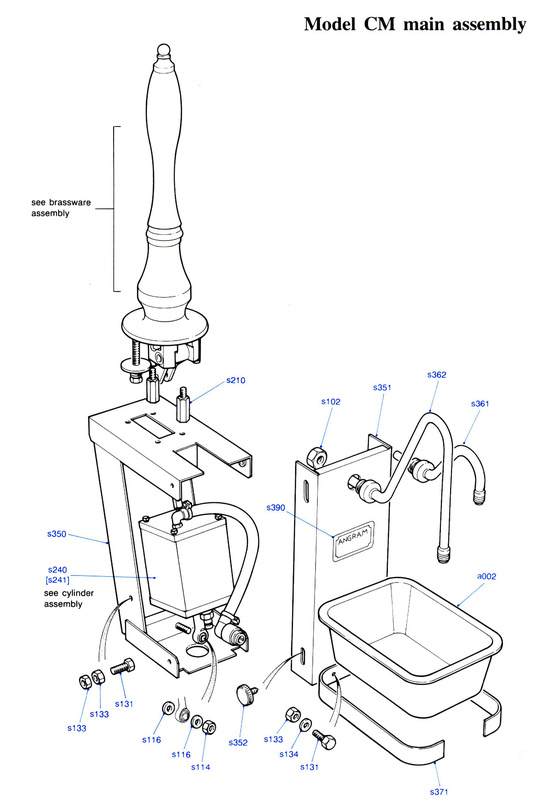 Because of its unique action assembly, the unit can be installed into bar tops of any thickness up to 2" without the need for packings, shims or adjustments of any kind. The brassware alignment is automatically correct, as is the cylinder alignment. Fitting becomes a simple matter of cutting the aperture using the template provided and bolting the unit in. 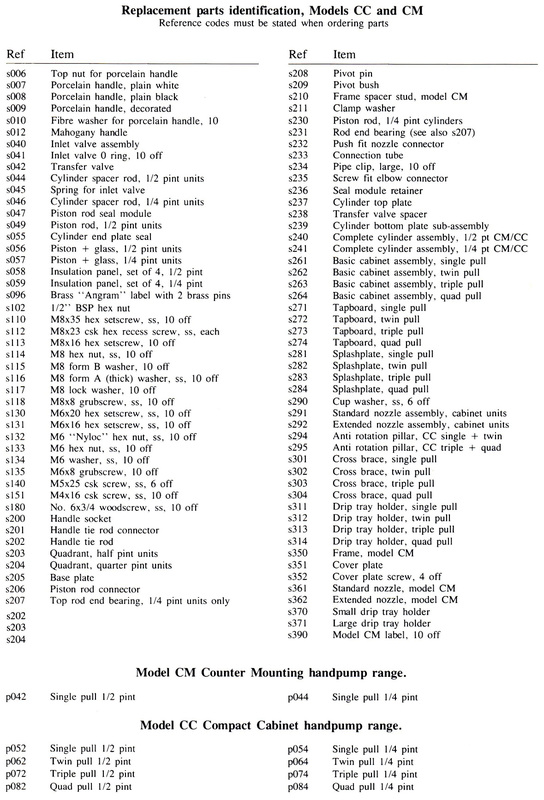 For a closer look at the CM Model click on the image at left. A SCHEMATIC drawing with precise measurements is also available.